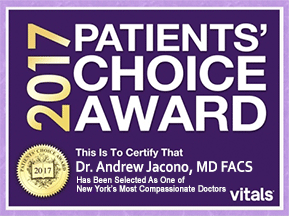 Endoscopic Browlift Browlift patient review for top New York facial plastic surgeon Dr. Andrew Jacono. Brow lift is indicated because, as we get older, the brow and forehead begin to droop as early as in our late thirties and early forties. Due to the effects of sun and the pull of gravity, the skin begins to sag, resulting in frown lines, wrinkles across the forehead, and increased heaviness of the eyebrows and upper eyelids. These changes contribute to a tired, angry or sad expression that may not reflect the way you feel. 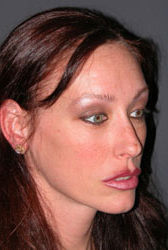 To reverse these changes a procedure called a Browlift can be performed. This procedure is usually performed between the ages of forty and sixty, but in some is necessary at an earlier age. 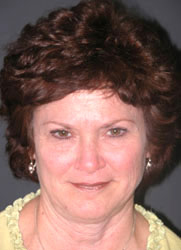 In the past, the brow lift was performed by using a wide incision that extended across the entire scalp. 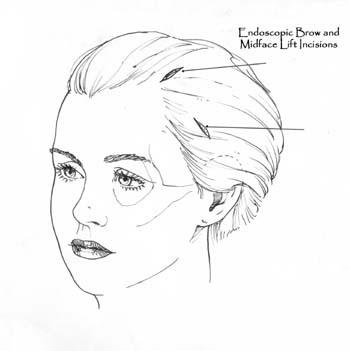 Today, modern technology allows the browlift to be done with lighted telescopes passed through small incisions hidden within the scalp (endoscopic brow lift or endobrow); the incisions and endoscope are the size of a drinking straw. Using this technique, the brow can be repositioned to enhance the beauty of your eyes with minimal downtime. In addition to less swelling and bruising, the endoscopic brow lift also results in less numbness across the scalp. This tightens loose skin, lifts the drooping brows, flattens forehead wrinkles, and opens the eyes. Doctor Jacono also removes the muscles that cause the frown lines and “elevens” between the eyebrows (the corrugator supercilli and procerus muscles) and lifts the sagging brows and skin. This can help prevent the need for repeat Botox Injections. If your hairline is positioned farther back than normal (a high forehead), an endoscopic brow lift may not be the best procedure for you. Instead, you may need to undergo a procedure that utilizes an incision made just in front of the hairline (termed a pretrichial brow lift). The incisions are designed such that the final scar is barely visible. 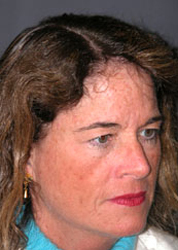 Using this technique, the brow can be repositioned to a more desirable level while lowering what is considered to be a high forehead. Not infrequently Doctor Jacono will perform a Blepharoplasty (eyelid tuck), facelift, or laser skin resurfacing to provide a harmonious rejuvenation. For those patients without time for recovery he may suggest Botox to help treat forehead lines and wrinkles. 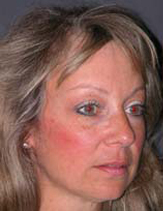 Endoscopic Browlift Patient 1: This patient believed she needed an upper eyelid but it was her dropped forehead and heavy brow that needed to be lifted. 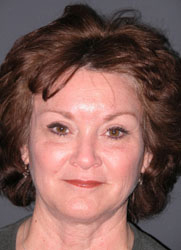 An endoscopic brow lift was performed to open her eyes and make her look more youthful and less tired. 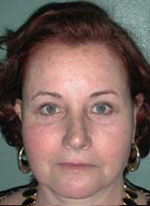 Endoscopic Browlift Patient 2: This patient had heavy upper eyelids, frown lines and forehead wrinkles An endoscopic brow lift was performed to open her eyes and smooth her brow and release her frowning muscles. 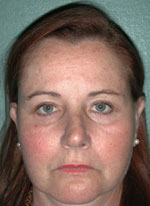 Endoscopic Browlift Patient 3: This patient had a prior eyelid lift elsewhere and still had tired eyes. Lifting her brows off her eyes resulted in a more fresh and rejuvenated appearance. 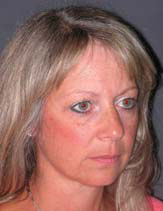 Endoscopic Browlift Patient 4: A subtle browlift was performed in combination with an upper eyelid lift on this patient giving her a natural but refreshed appearance. 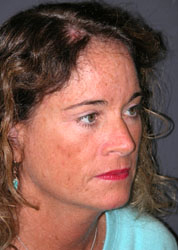 Endoscopic Browlift Patient 5: Brow lifts can be tailored as well. This patient wanted a more sculpted and higher brow position. This is a stylized look, but the procedure can be customized to your aesthetic. It is not “one size fits all”. At the same time she had the “elevens” or muscles between the eyebrows released preventing the need for further botox injections. Doctor Jacono tailors your browlift to what you need and your anatomy. He does not just perform endoscopic brow lifts. Other brow lift techniques he performs include the temporal brow lift, the trichial brow lift, the direct brow lift, and the indirect brow lift. The temporal brow lift mainly elevates the tail of the brow and is often reserved for women seeking a more feminine and gently arched brow. 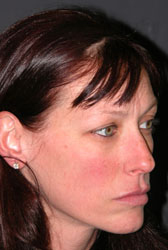 The trichial brow lift is similar to the pretrichial brow lift except that is does not shorten the forehead. Direct and indirect brow lifts are most often performed on men, particularly those who have male pattern baldness that does not make them candidates for other brow lift techniques. The direct brow lift involves an incision placed just above the brow, while the indirect brow lift places the incision within a well-developed horizontal forehead crease. 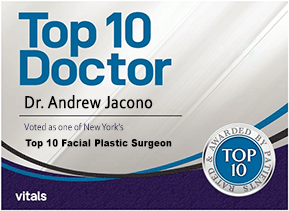 To learn more about brow lift procedures or any other facial procedure that Dr. Jacono offers, contact his New York City location at 212-570-2500 or his Long Island office at 516-773-4646. 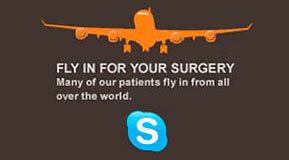 You may also complete an online consult form and one of his patient care coordinators will be happy to assist you.